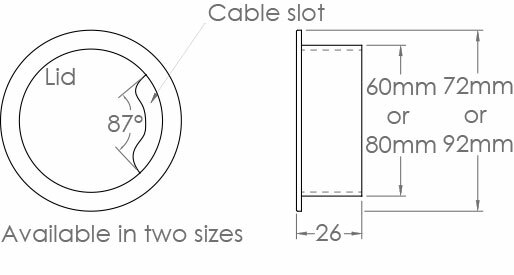 CABLE OUTLETS provide a simple and convenient method of passing cables through desk tops and work areas. 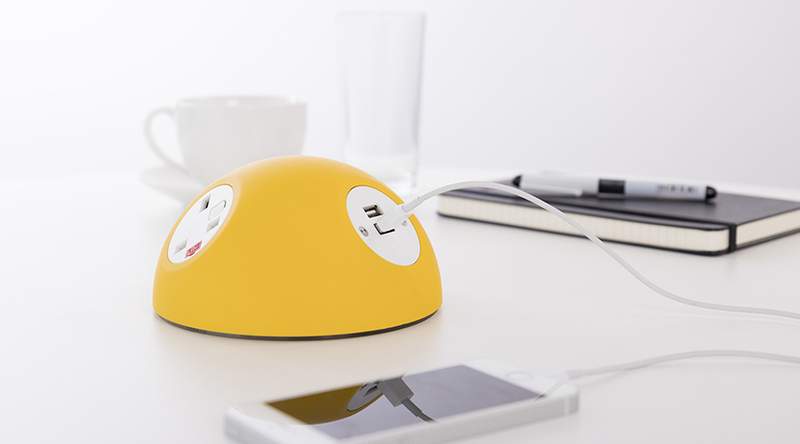 The Circular Cable Port is designed for minimum installation effort and to blend with the desk design. Neatly enhancing cable exit points. 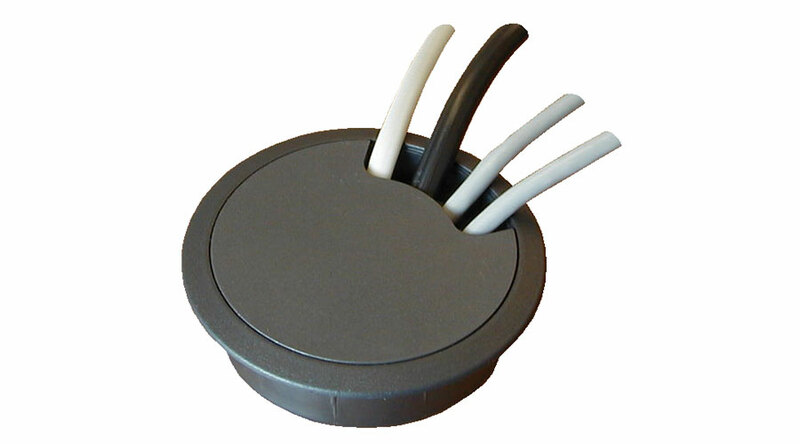 The two piece removable lid allows maximum access to pass plugs through the cutout, but can be replaced with only a discreet slot for the cables to exit during use.